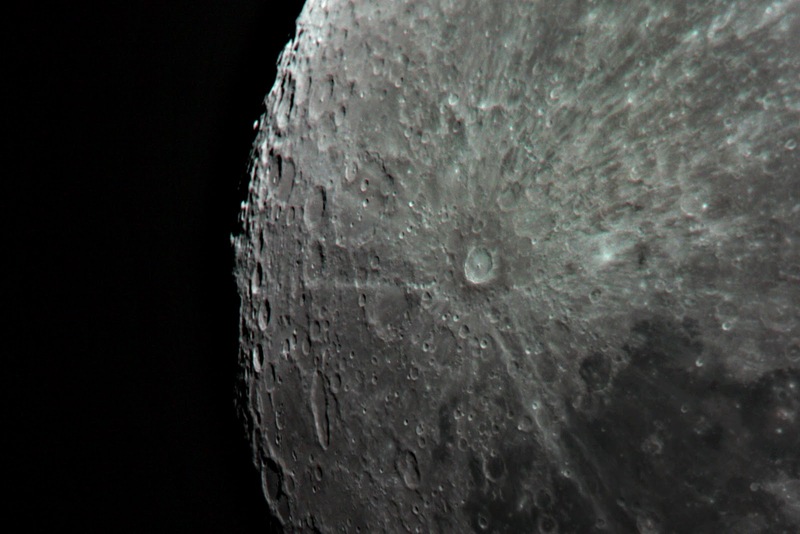 The tycho crater on a closer look. Moon taken on a full moon day. Magnitude 2 means very much visible to the naked eye. I was surprised. I was confused as well.. its been a long time since i had a good look at the sky, and i was pretty sure i wont be able to make out perseus, let alone algol!! 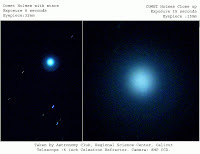 I am talking about comet Holmes, which came visible to the night sky!! The first thing, which will come to my mind, will be to photograph it. It was raining almost everyday, so i had less chances even if I am in Calicut for the next few days. After a lot of thinking and coin tossing (Thats how i make decisions - simple rule - Heads I win, tails you lose) I decided to get in the afternoon train. Yes, We are associated with Calicut planetarium, and we call ourself Executive members or Senior members of our Astronomy club. Yes, we are a bit snobbish, and we love it. Whatever, I asked Shajeev to get the Telescope ready by 7.00, the time Netravathi Express will reach Calicut. Adapter !! 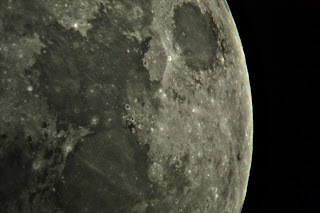 I dont have a Camera - eyepiece Adapter!! The one I made broke (Not because I made it!! ), So I need a tripod. The thought came only in train. And How am I going to get a tripod? I dont even have a mobile phone. Thats when Aisha, the jailer, dropped into my train at thrissur. She had the luxury of a mobile phone, with enough money to make calls. And with her great communicating and negotiating skills, she arranged a professional quality tripod in 3 hours. And lots of other junk, which we eventually never used. The sky was clear, and now we have to find a place to shoot. We roamed and roamed in and around calicut city. Different venues were tried, but were discarded either because of ambient light, city light noise, speeding cars, or poor visibility due to trees. Time was running out, and the comet was rising up. We wanted to shoot the photograph before it reached the 45 degree angle. So we settled for Providence college. A high altitude, clear sky area. Beautiful sky. My house is just 5 minutes from here. But just as we stepped out of the car, there were dogs around us. We didnt want to wake up the whole neighbourhood, so we moved to the front, more towards the college, and settled to another good place, and mounted our telescope. Police Commissioner lived closeby, and I guess thats why this bike closed in, with his gunman riding it. We didnt have much problem convincing that we are from the Planetarium, except for my long hair and my dress. Its 9.30 now, and we got the Comet through the Viewfinder. Shajeev focussed the comet with the 32mm eyepiece, and it was a beautiful thing to watch. No tail, but we could clearly make out the nucleus. No, to take the photograph. Piece of cake, i guessed. After several astrophotographs with my old SLR camera and with different cameras, I was very confident I would get it done in seconds. Shajeev was equally excited. 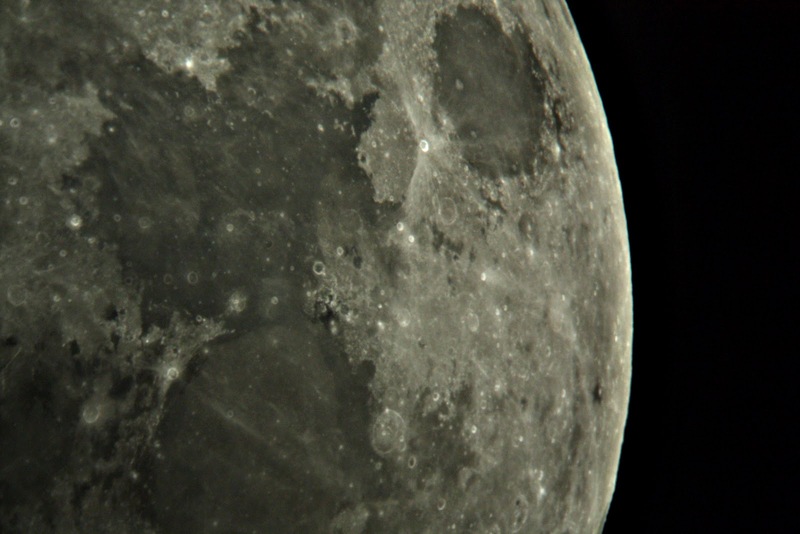 Then I fixed the camera tripod, took my time to align the camera to the eyepiece. The next two hours were irritating, really irritating. 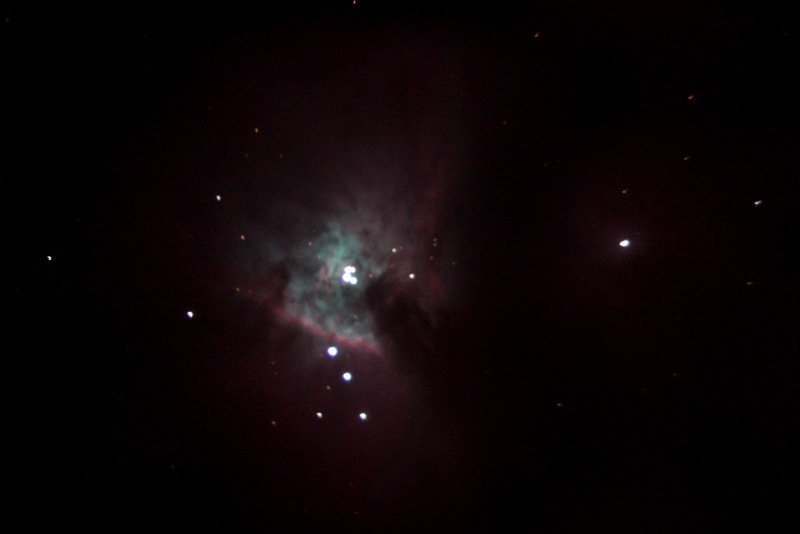 The obect was too faint, and by the time I get the position right, the object would move(Earths rotation) and we had to re align the telescope. No we didnt have the tracking motor. Two hours, its 12 by now, and no results. I tried with the backup camera, and I knew I have to get the exposure timing and ISO speed correct. Jayant came in by 11.00 but by that time we were so low in confidence. Shajeev got tired re aligning the telescope, and I got tired of the strained neck and mosquito bites - Yes, i was wearing shorts. Somewhere close to midnight, We tried out the last combination of exposure settings. 8 seconds... and presto!!!!! The comet is caught on screen!!! Signs of relief. We had time for just 4 more photographs, and by the time, moon rose, along with thick clouds.. If we ere 10 minutes late- we would have never made it! This was on wednesday - But comet never came back to the calicut sky -till tuesday - We were really lucky, I must say!!! All the photographs shown here are taken by me (The blog owner,of course) , mostly with equipment support from Planetarium, Calicut, and my personal equipment. Some rights reserved. 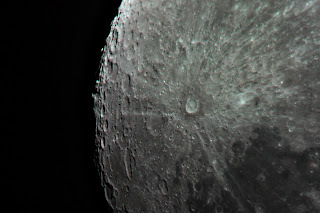 Some of the pictures also belong to Astronomy Club, Calicut planetarium, and will be seen in portals/sites of Calicut Planetarium as well as Astronomy club, Planetarium, Calicut. Severe case of derangement. Given up by medical science.